On Friday, Prince William and his wife, Duchess Kate, went out with their two oldest children to the Burnham Market Horse Trials in Norfolk. They were joined by the Tindall family. 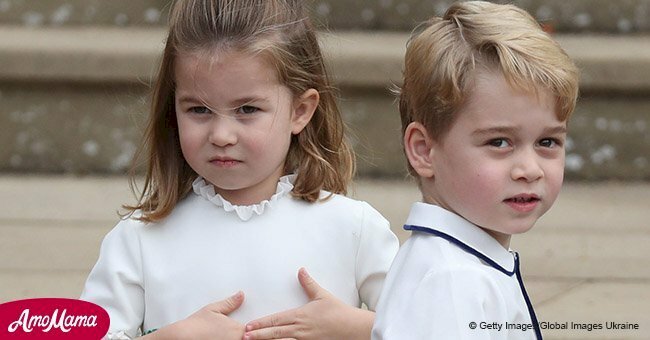 Images taken of Prince George and Princess Charlotte revealed that the two siblings were growing up quite quickly. For the outing, Prince William, 36, and Duchess Kate, 37, were joined by Mike, 40, and Zara Tindall. The couple’s brought their children along to the Burnham Market Horse Trials to watch Zara, 37, compete. Last year Zara, a former silver medal Olympian, fell from her horse. However, this year she managed to finish third and fifth in her events as her relatives cheered her on. She was later seen receiving a congratulatory hug from William. 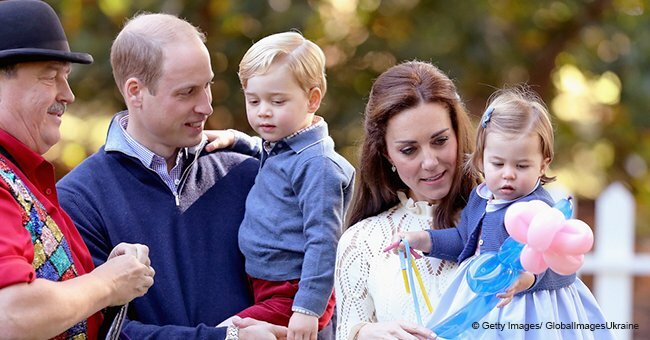 For the day event, William and Kate brought along their children Prince George, 5, and Princess Charlotte, 3. 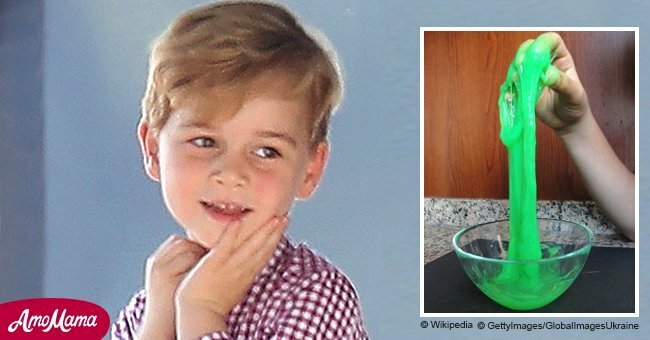 It's believed that little Prince Louis stayed at home with the family's nanny Maria Teresa Turrion Borrallo. The Tindall’s, who met and fell in love during the 2003 Rugby World Cup in Australia, came along with their daughters Mia, 5, and their baby Lena. At one point, Mia was seen hoisted aloft by her mother's Royal cousin William to get a better view of the sport. He carried her on his shoulders as she playfully grabbed his ears to steady herself. 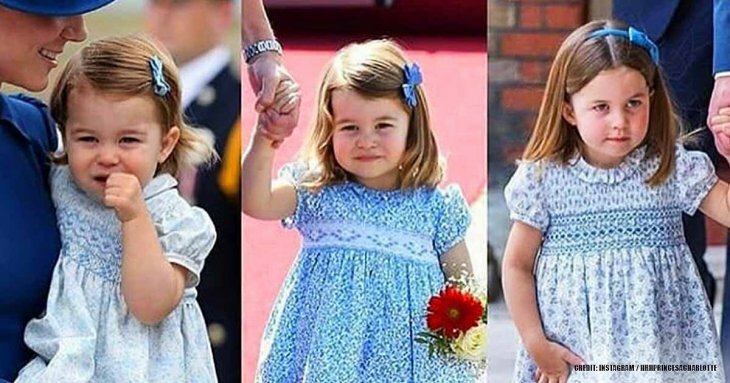 Princess Charlotte was carried in the same way by her mother while her brother was safely situated on his uncle, Mike’s shoulders. A grown looking George was also spotted holding a toy sword as the family went along. He and Mia appeared to be getting along very well as they measure each other’s heights. For the outing, Mia wore a bright purple puffer jacket, silver sequin-embellished jeans, and a white baseball cap with a pink heart design. George kept the cold out in a khaki green fleece jacket, dark green jeans, and a pair of black and white Nike sneakers. His little sister wore a waterproof jacket, tartan skirt, and black tights. Her father settled for gray Nike sneakers, a flat cap, and a green jacket. Kate stayed warm in tight black jeans and a Barbour quilted jacket. The three children had fun at the trials with Charlotte having a go on the dodgems while her mother watched on. The children also got to play on a bouncy castle and attended circus workshops. The Cambridge family is currently at their country home, Anmer Hall, where they will be staying during the Easter holidays. The house has 10-bedrooms, tennis courts, and a massive garden. The property has a no-fly zone which means they get maximum privacy. The no-fly rule was enforced shortly after George's birth in 2013.